Fortune International Transport (members in Italy) have been shortlisted in the Breakbulk 'People Make it Happen' Photo Contest and they are currently in 2nd place! To cast your vote for your fellow PCN member, please click here and select Fortune International Transport from the list of entries on the right of the page and then click 'vote' at the bottom. Voting is open until Monday 17th September. 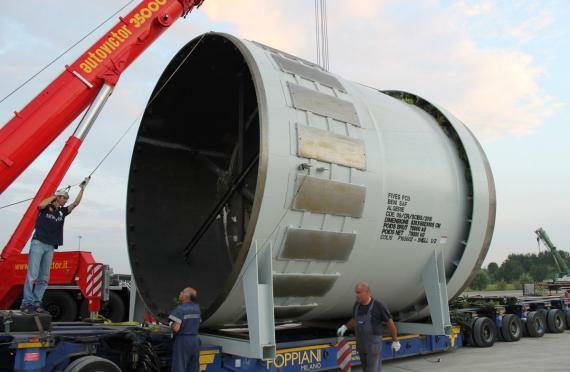 The photo from Fortune (right) shows the loading operation transferring a 70tn ring with a 6m diameter from a truck to a barge in Mantova, Italy. Click here for full information of the project.